Lucasfilm is said to be putting the pause button on their Star Wars standalone movies. That means projects like the Boba Fett movie and the long-awaited Obi-Wan movie are, at least for now, off the table. While that's disappointing, a new rumor states that Stephen Daldry, the director who had been attached to helm the Obi-Wan Kenobi standalone for nearly a year, walked away from the project weeks before Solo: A Star Wars Story even arrived in theaters. There could be various reasons for that, but it does raise further questions. 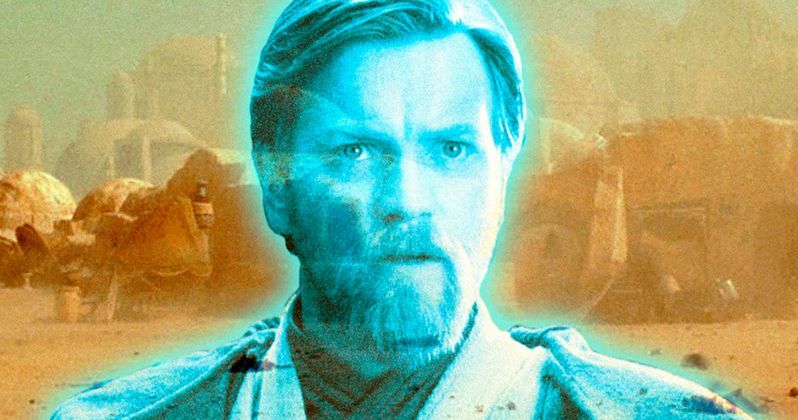 Disney and Lucasfilm have yet to formally announce the Obi-Wan movie, but there have been multiple reports of pre-production work taking place. Last August we reported that the movie was finally happening, despite the lack of an official announcement and that Stephen Daldry, known for his work on Billy Elliot, was attached to helm the project. Even if the movie does wind up finding new life at some point, it sounds he's not going to be the one in charge. But why did Daldry decide to walk away? That is, assuming this rumor has any truth to it. At this point, Lucasfilm has proved that they have had trouble with directors. That's no secret. Josh Trank, director of Fantastic Four, was removed from an earlier version of a Boba Fett movie, Colin Trevorrow was originally hired to direct Star Wars 9 before he departed the project and the duo of Phil Lord and Chris Miller were fired by Lucasfilm President Kathleen Kennedy after having shot the majority of Solo, paving the way for Ron Howard to come in and reshoot most of the movie in an admirable salvage effort. Ultimately, those efforts weren't enough to make the movie a hit (on part with other Star Wars movies) at the box office. With that in mind, did Stephen Daldry smell smoke and decide to walk away from a possible fire? Did he disagree with some possible creative decisions going on behind the scenes? Was he tired of waiting around, deciding to move on to another project instead? We may never know, but the idea of a director walking away from a Disney era Star Wars movie is nothing new. Again, this is just a rumor for now, but one that just adds a little bit more to the narrative that Star Wars is simply not in a good place at the present time. The folks at Lucasfilm are said to be focusing their efforts on Star Wars 9, which begins filming this summer, and the trilogy that will happen afterward, be it the Rian Johnson trilogy, the series from Game of Thrones creators David Benioff and D.B. Weiss (both of which have been officially announced) or something else entirely. That means the Obi-Wan movie, and other similar standalone projects, are currently on the backburner. Does that mean they'll never see the light of day? Not necessarily, but Disney and the powers that be need to restore order to the galaxy first, that much is clear. This comes to us courtesy of Omega Underground.